Protect yourself from sinusitis in the summer! During summertime, the mucus becomes thick and sticky because the air is very dry in hot days. This makes ciliary evacuation of mucus very difficult, resulting in the blockage of the sinuses, accumulation of bacteria and in turn generating congestion. The most effective way to prevent sinusitis in summer is controlling allergies and avoiding infections. Prevent respiratory infections in the upper tract by washing your hands more often and drinking liquids abundantly to keep your mucous membranes moist and free of bacteria. Gwaltney JM Jr, Sydnor A Jr, Sande MA. 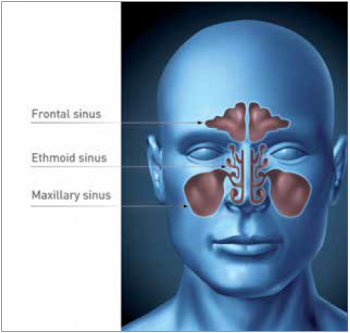 Etiology and antimicrobial treatment of acute sinusitis. Ann Otol Rhinol Laryngol Suppl. 1981 May-Jun;90 (3 Pt 3):68-71. Gwaltney JM Jr, Scheld WM, Sande MA, et al. The microbial etiology and antimicrobial therapy of adults with acute community-acquired sinusitis: a 15-year experience at the University of Virginia and review of other selected studies. J Allergy Clin Immunol. 1992;90:457-461.